Just squeezing in my May “Siblings” post on the final day of the month. It’s been a big month for my duo as they have just moved in together to share a bedroom. 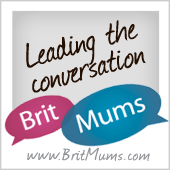 They’ve spent a lot of time together this month, with our holiday to Cornwall, plus half term last week when Alex hasn’t been at nursery. Their giggles every evening as we shut the door is a sign of their relationship getting closer – but more on how that’s going next month! 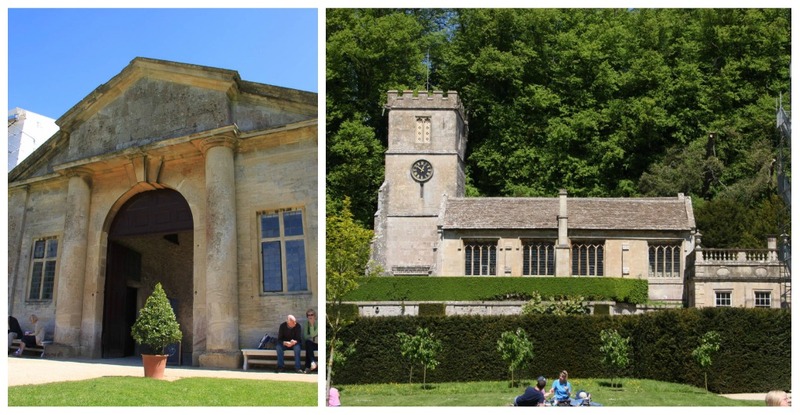 For May’s post, I’m remembering a lovely trip to Dryham Park – a stunning National Trust park and house that marked the midway point on our long drive home from Cornwall. Typically, the weather was significantly sunnier and warmer than it had been all week we were away, so we were pleased we chose to stop somewhere with so much outside space so we could enjoy it. Dryham is truly beautiful – an incredible house nestled amid rolling hills where deer roam free. We enjoyed a yummy lunch sprawled on the lawns surrounded by the gorgeous architecture. The house is having some fairly major refurbishment – so Matt took the opportunity to tour the roof while I explored the grounds with the children. He looked the part in his high vis jacket and hard hat – and got some great shots of the lush, green park. Meanwhile, I trekked up to the brilliant Old Lodge where there are loads of natural play areas. 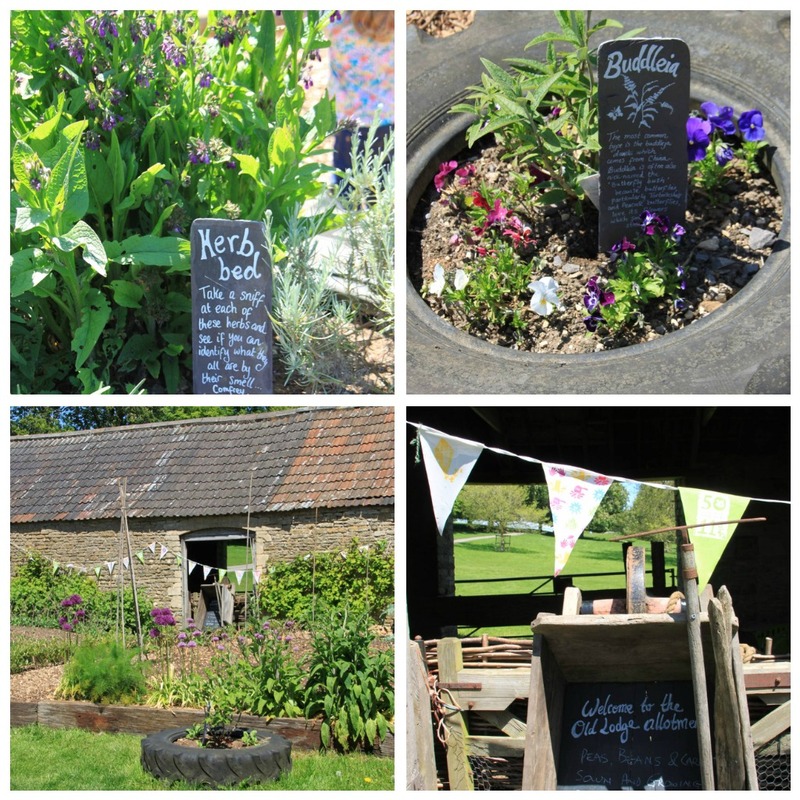 I loved exploring the flourishing kitchen garden, enjoying the herb and flower planting in old tyres! We picked a great time to visit as everything was really in bloom. 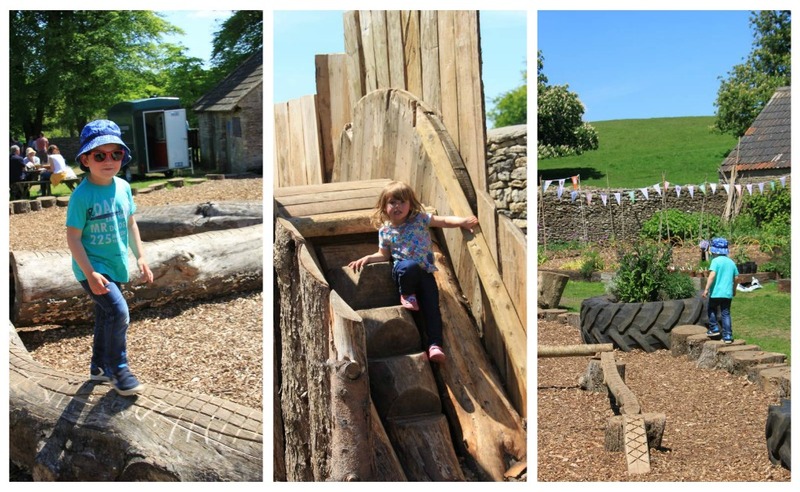 The children stretched their legs exploring the wooden climbing frame and logs – able to run freely in the secure space. 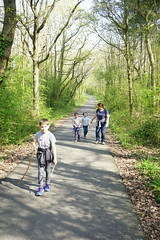 It was the perfect antidote to being couped up in the car for hours. 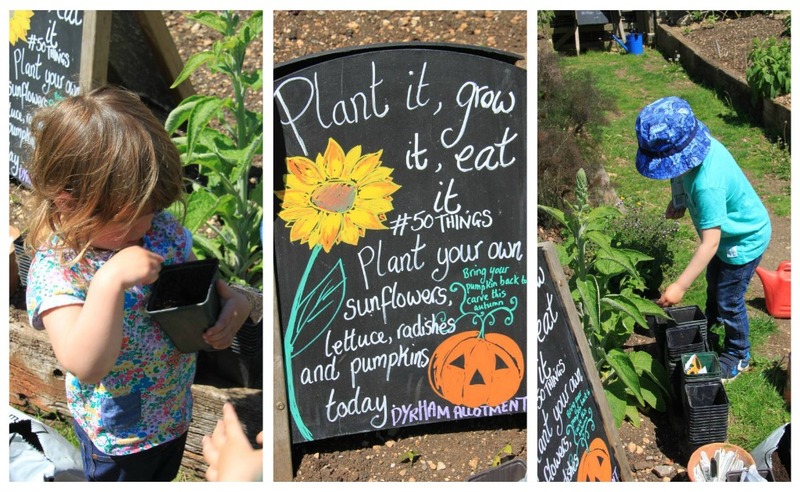 We’re already big fans of the National Trust – 50 things to do before you’re 11 3/4, and so took the opportunity to plant something to eat. I think we may have ticked that one off several times, but the children never tire of digging dirt and planting seeds! Let’s see if we end up with pumpkins and sunflowers!! 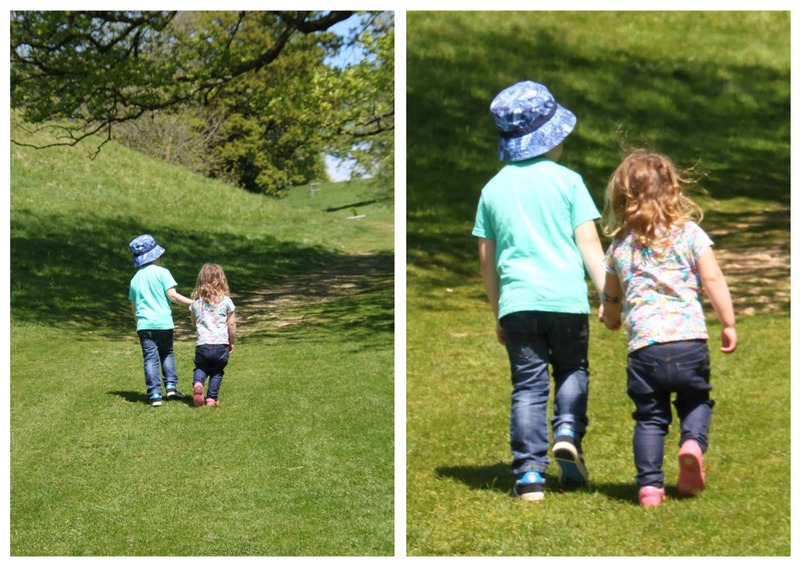 Sophie and Alex really worked as a team as they were planting and watering their seeds – and gave me my May Siblings photo as we walked around the grounds! 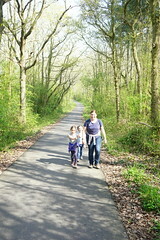 It was hilly and quite steep, and I wasn’t sure Sophie was going to make it up the climbs! But her big brother came back to hold her hand and coax her up the incline. And sure enough, she found some more energy and made it to the top. Can’t get enough of seeing their little hands clasped together! 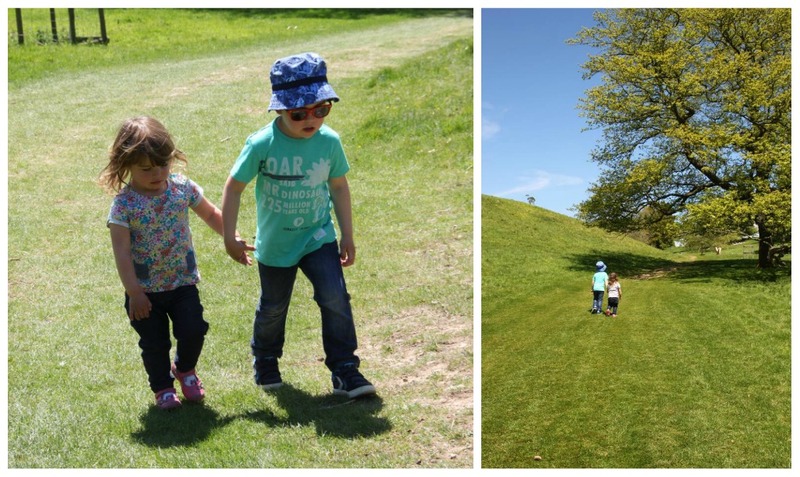 I wish we’d had more time to explore Dyrham Park – it was enormous, really welcoming and truly beautiful. The only downer on the day was the fact it was so hot, the Marshfield Ice Cream stand ran out of flavours my mid afternoon, putting an end to our daily holiday dairy fix! But that didn’t take away from a wonderful excursion for my siblings. We’ll be back!